I have a Yakima roof rack with Yakima bike rack for sale. I bought it from RackAttack in Portland, OR before I moved down, so it was a used item before it came to me. That said, it functions, I have 2 keys and it's currently off the car. 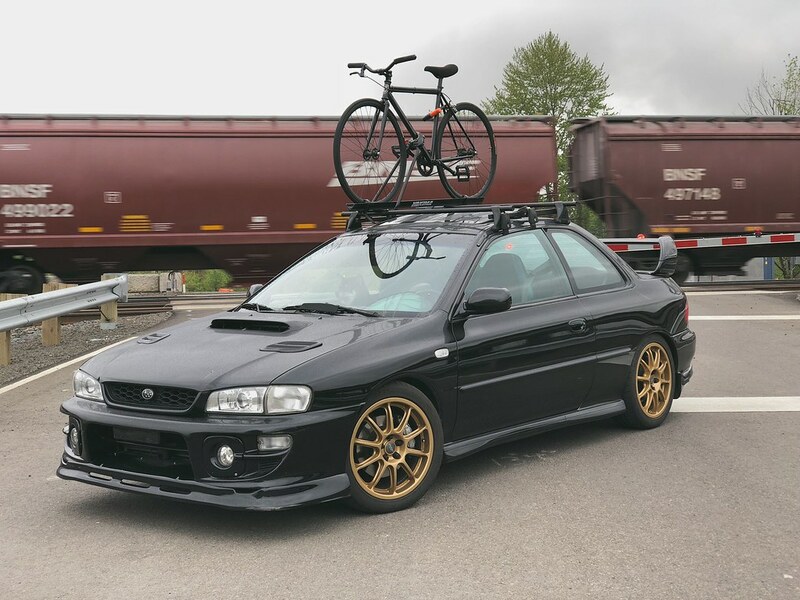 It fits the classic Impreza body and may fit other models. I honestly have no idea.. I can get some more photos of it removed if necessary. Willing to separate the bars from the raptor? I'd prefer to sell it all complete, but if I get no interest I'll let you know. FS: Yakima bike rack w/ 3 bike rails! !